With hundreds of dinners at the Beard House each year, dozens of events across the country, and our annual James Beard Awards highlighting the best of American cuisine each year, we’re lucky enough to get a broad view of the nation’s edible zeitgeist. 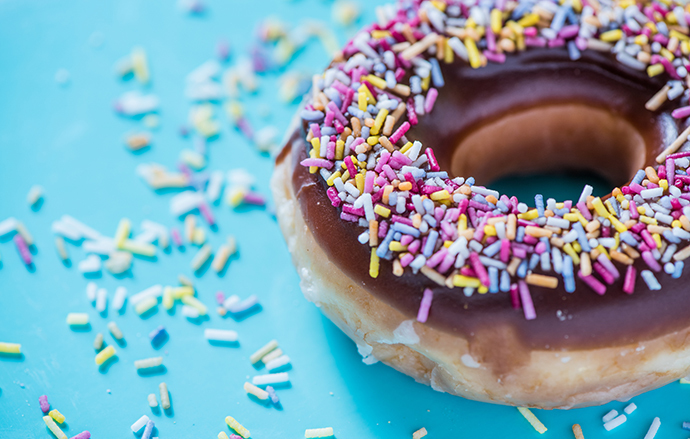 With that in mind, we’ve dusted off our crystal ball and called on some of our expert eaters to forecast the food trends destined to be hitting your plates in the coming year. From the triumphant return of French cuisine to the frenzy over fermentation to the new “it” vegetable, we’ve got the roadmap to guide you through the highways and byways of the culinary landscape for 2017. We saw classic French cuisine pop up in Los Angeles a couple years back, when Ludo Lefebvre opened Petit Trois, his homage to Parisian bistro culture. This year the stateside revival of la grande cuisine continued in New York City, with Le Coucou, Mimi, and Augustine leading the way. Ironically, the only place French food isn’t trending is France—but we’re eager to see where this latest wave of mother sauces takes us in 2017. At a panel on food waste we held in Charleston this fall, chef Dan Barber explained a food-waste side effect of America’s obsession with Greek yogurt: acid whey (not to be confused with sweet whey, which is the byproduct of hard cheeses and is often used in protein powders). In Greece, as Barber explained, the delicious whey is used to marinate lamb, but here in the U.S., it is often discarded. As Bon Appétit reported last year, bottles of whey have been popping up on the shelves of health food stores and markets like Whole Foods, but recently we’ve been seeing an uptick of the ingredient on Beard House menus, both in traditional preparations or caramelized in both sweet and savory dishes. We think 2017 may be the year we finally say yes, whey! 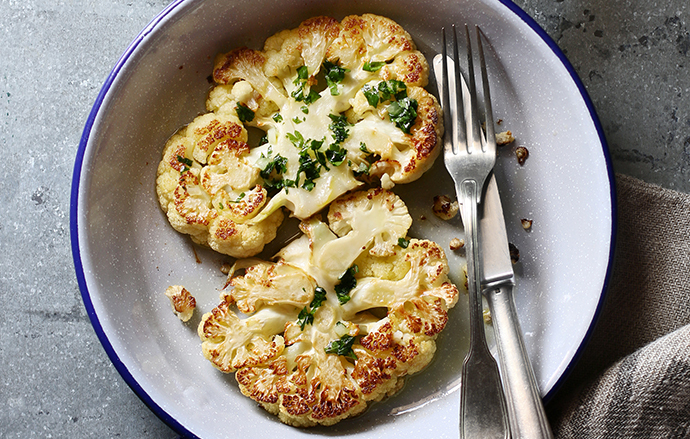 It’s hard to top the ubiquity of everyone’s favorite leafy green, but the formerly overlooked cauliflower is right on its heels. Maybe it’s the mild flavor that makes for a stellar blank canvas, or its comforting, starchy consistency (which lends itself to standing in for rice or pizza crust). From whole-roasted versions served in cast-iron skillets at the Florence in Savannah and Shaya in New Orleans to cauliflower “steaks” serving as stand-alone entrées from a Beard Award–winning cookbook, we’re devouring the cruciferous veg all over the country. The first time we saw tiny little kale growing off of what looked like a Brussels sprout stalk at the greenmarket, we thought that some plant hybridist somewhere was also a marketing genius: what a great idea to take the two most unexpectedly and wildly trendy vegetables (and both brassicas, no less) and fuse them together. Cute as can be, they are also quite tasty. While they’re cropping up at farmers’ markets all over the country, we haven’t seen them on many menus in the U.S. just yet—though word has it that Rocky Maselli at A16 in San Francisco is serving them up to his diners—executive vice president Mitchell Davis noticed them recently on a trendy New Nordic menu in Oslo, Norway. And if history is any indication, then that means it’s only a matter of time. 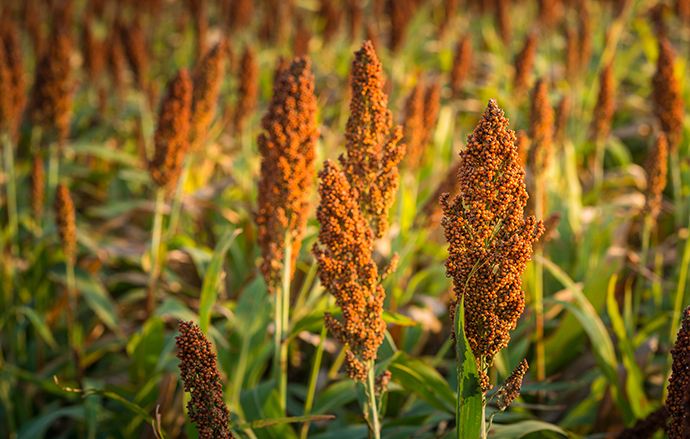 We’ve long known about sorghum, the syrup of which had been the most popular sweetener in 19th century America (sorghum-glazed or -braised everything has been a repeat trend at the Beard House), but until recently, we had no idea that it was actually a grain you could actually cook like a grain. It resembles Israeli couscous, but with a little dot on each orb. It is chewier than you’d think (which means chewier than Israeli couscous) but satisfying to eat—and slightly sweet. Wanna try your hand at it? Start with Bon Appétit’s delicious recipe for Roast Chicken with Sorghum and Squash. Or check out dessert guru Alice Medrich’s Flavor Flours cookbook, which has an entire chapter dedicated baking with milled sorghum. We’d wager that it’ll become the new gluten-free, ancient grain of the moment. Whether it’s the Native American classic appearing at Marc Forgione’s American Cut and on an Ohio-centric Beard House menu, or the Eastern European iteration popping up at John Fraser’s Nix and Tim Cushman’s Covina, these days it seems you can’t open a restaurant in New York City without included some sort of fried dough topped with all sorts of decadent accouterments. We won’t argue with that! 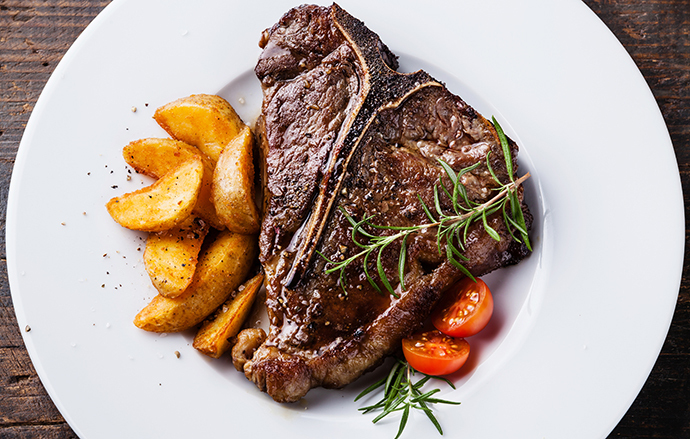 According to the U.S. Department of Agriculture, the consumption of red meat peaked in the 1970s, but up until recently at restaurants around the country—and at the Beard House—it was rare to see a menu that didn’t offer up a juicy steak or other (red) meaty main. These days, whether a function of the increased costs, more interest in sustainability, or a change in consumer tastes, chefs cooking at the Beard House have increasingly made beef less of the star of their menus and more of a supporting player. So while we’re not seeing beef disappear, we are seeing it less as a main course, and more (and in smaller portions) as a canapé. Vying to take beef’s place? Duck, lamb, venison, pork, and more. While wide-ranging delivery services like Seamless have made relying on only pizza and lo mein a thing of the past, you no longer have to choose from brick-and-mortar restaurants with competing live customers when ordering in. Startups like Maple, David Chang’s Ando, and home-cook delivery service Umi Kitchen have proven that with consistently well-executed food, you don’t need a dining room to develop a steady stream customers who will return time and again. Fermentation has fascinated chefs for years as they’ve tried to uncover new ways to create naturally complex flavors, nuanced textures, and other gastronomic coloratura. While home cooks have dabbled—our executive vice president Mitchell Davis been on the invite list for an underground fermentation fest in Brooklyn for years—rotting food in the home kitchen hasn’t really broken out into mainstream. But we think that’s about to change: the new magazine Cured will cover a large number of topics about aging and fermenting food, and cookbooks like Bar Tartine give explicit instructions about how to ferment your own condiments. Even the current directive to minimize food waste (pickled watermelon rinds, anyone? 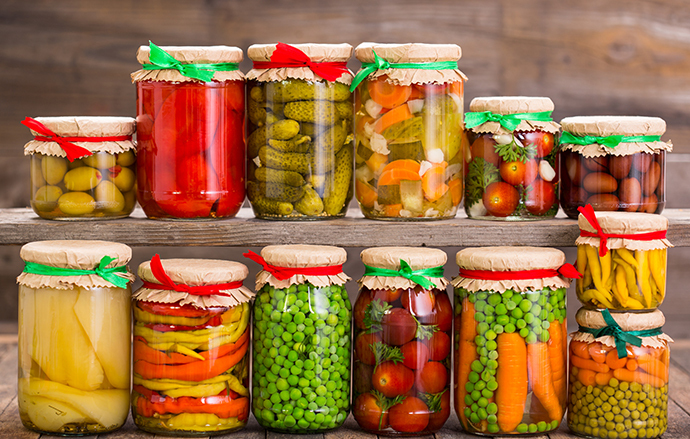 Everyone from Alton Brown to Martha Stewart to Bon Appétit has a recipe, so take your pick) will likely play into the growing notion that older, bubbling, cultured, and fermented foods are better for your health, for flavor, and for the planet. This growing trend has quickly gained steam, with vegan restaurants like Ravi DeRossi’s hot spots Ladybird and Avant Garden, and the perpetually packed, bicoastal by CHLOE. shops pulling in eaters of all varieties. Even at the Beard House, we’re seeing vegetables take the spotlight, whether its showcasing a regional specialty like leather britches (where beans taste suspiciously like bacon), or presenting a vegetable centerpiece like a preserved whole tomato with animal-based garnishes. 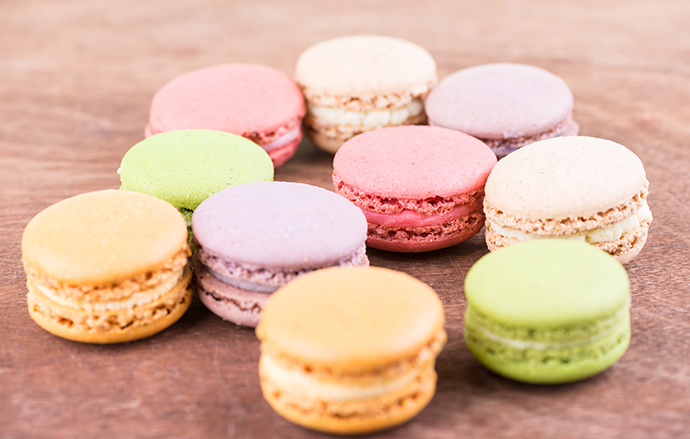 From local bakeries to Pinterest boards, the sweets world is exploding with color. Cakes filled with the tiny, bright confections are flooding our feeds, homemade versions are featured on menus everywhere, and recipes are shared in major news sources: the New York Times hopped aboard the sprinkle train, the Washington Post and BuzzFeed went nuts over rainbow bagels, and websites like Epicurious and the Kitchn waxed poetic about the sprinkle-dusted “fairy” toast. Put on your sunglasses, because our collective dessert future looks pretty bright. With nearly half of all food produced in the U.S. going to waste, restaurants, chefs, and even home cooks are getting smart and learning to create delicious dishes with parts of the animal, fruit, or vegetable that would normally end up in the trash. Make no mistake, this concept is skewing more haute cuisine than dumpster diving: the Beard Award–winning and Michelin-starred Blue Hill had a pop-up restaurant devoted entirely to the theme of food waste and re-use for three weeks last year; top toques Mario Batali and Tom Colicchio spoke out about how we can all reduce waste in our own kitchens; and recipes for the waste-less novice have been everywhere from Epicurious to Tasting Table to right here in our own collection. And for the health of our planet, this is a growing trend we hope will have staying power. Move over crudo and carpaccio. 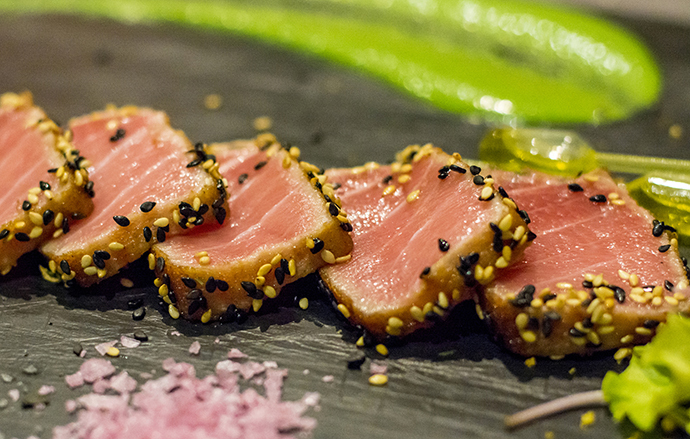 From fish to beef, toro to kobe, tataki is the cold appetizer that is going to sweep the nation and land on every menu from coast to coast. Combining the tender, unadulterated meat of a tartare and the smoky, seared edges of negimaki, tataki is quickly seared, then thinly sliced, brushed with a bright vinegar, and presented with a host of east-meets-west accompaniments. Never had tataki? Don’t worry, you will soon. Elizabeth Laseter, our assistant to the director of house programming, especially loves the tuna tataki with shiso tempura and dashi gelée at Kinship in Washington, D.C.; the venison tataki with pickled ramps and walnut miso at Chicago’s Ruxbin; the cobia tataki with pineapple and cilantro at NYC’s Cosme; and beef tataki with romanesco, peanuts, and horseradish at Quaintrelle in Portland, Oregon. Or come try it at the Beard House, where it’s making an increasing number of tasting-menu appearances. It’s time for another serving dish to replace the “bowl.” Enough already. Burrito bowls, poke bowls, rice bowls, noodle bowls. We get it. Can’t we just get a plate? Or a shovel, perhaps?